Why was Jesus Christ considered a man of sorrow? 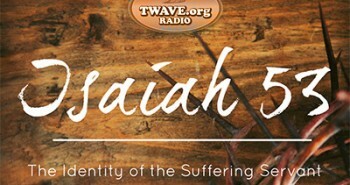 In this “The Truth Will Set You Free” TWave Radio episode, Pastor Vic Batista of Miami’s Calvary Chapel Aventura and I will study the “Suffering Servant” prophecies found in Isaiah 53 that were fulfilled in the life of Jesus Christ. Vic Batista: Even today some people get confused over what constitutes a First Coming and what constitutes a Second Coming prophecy. The Jewish people especially do not accept that Isaiah 53 is as talking about the Messiah, right? Here the King of the Jews came fulfilling all the prophecies that proved He was a King. He was healing people and showing them love. He did everything prophesied to prove that He was Messiah, and yet the people of His time and people today reject Him. Jesus was despised and rejected by mankind, a man of suffering and familiar with pain, like one whom people hide their faces. He was despised and we held Him in low esteem. Isn’t that amazing to think that here we have the God of the universe dwelling with us, showing us all the love possible, and yet He was despised and rejected by those whom He came to show love and to save? Vic Batista: That reminds me of what the Bible says in John 1, how when Jesus came He was the light of the world. And yet, people rejected Him. They could not understand the light. Even today there are people who are blind. They still don’t see the truth of who Jesus is. That is why we keep them in prayer that the Holy Spirit will open up their eyes to see the truth. Nathan Jones: They too need to understand as we read through Isaiah 53 how amazing it is that Jesus fulfilled all these prophecies. There are 300 general prophecies and 109 distinct prophecies in the Old Testament that have explained different aspects of the Messiah’s life. For Jesus to genuinely be the Messiah, He would have to fulfill all 109 prophecies to the letter. And do you know what? He did! Jesus fulfilled all 109. Mathematician Peter Stoner some years ago calculated that if Jesus had fulfilled just 8 of those 109 prophecies, the probability would be 1 in 10 to the 17th power. That’s a 1 followed by 17 zeros! That’s mathematically impossible for anybody 700 years later to show up and fulfill exactly as the prophet Isaiah and the other prophets foretold. For example, we are talking in Isaiah 53:3 about a man who is suffering from being despised and rejected. The average person when anticipating the coming of the Messiah would naturally have expected the Messiah to walk onto the scene with all the gold and money, and with armies following Him. But, He didn’t, at least at his First Coming. Jesus in Matthew 16:21 prophesied about Himself, “From that time on, Jesus began to show His disciples that He must go to Jerusalem and suffer many things at the hands of the elders and chief priests and teach the law, that He must be killed and on the third day be raised to life.” Jesus was telling them what the prophecies truly predicted, and they came true. The foretelling totally came true! Such a detailed fulfillment is impossible, unless you have the foreknowledge of God. Vic Batista: That’s right. The Bible is so reliable. I pray that people will pay more attention to God’s Word, because if they did, it would inspire and guide and lead them in life. 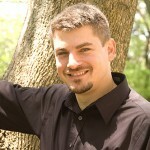 Nathan Jones: I think of the Bible like a football team’s playbook. A football team doesn’t go out on the field and just wing it. They have plays, they practice, they memorize strategies, and so they know exactly what to do. When the opposing team does this, then the contender switches tactics and does that. That is what the football playbook provides. Likewise for the Christian, the Bible is our playbook for life. It tells us how to live righteously, the difference between right and wrong, and how to have good relationships. Most importantly, the Bible reveals to us how Jesus died on the cross for our sins, and that if we put our faith and trust in Him, then we will be saved. 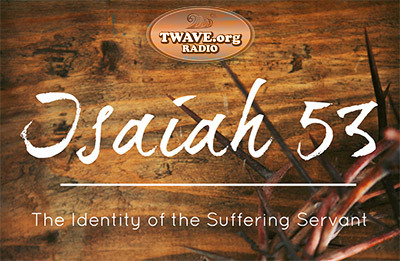 In the fourth part of our study of Isaiah 53 and the Suffering Servant, Vic and I will look into how the Messiah was smitten by God in verses 4-6.